Removing a considerable amount of the legwork, the 2017 Donruss Football Factory Set packages the entire base set in one simple format. Each box also includes a rookie memorabilia card that can't be found anywhere else. Although not impossible to build, completing the 400-card base set is no easy task. 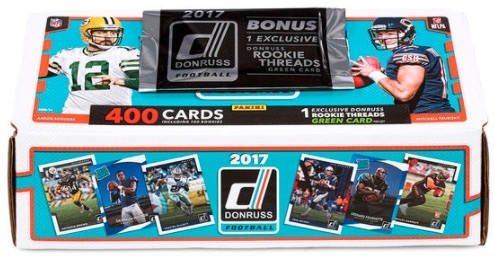 Enter 2017 Donruss Football Factory Set. 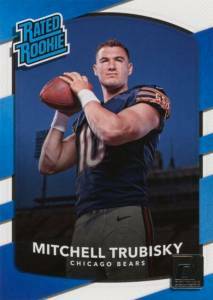 Consisting of all 300 base cards, 50 Rated Rookie cards and 50 standard rookie cards from the primary 2017 Donruss checklist, the convenient release provides collectors a chance to obtain the full selection without sifting through packs and the many inserts. 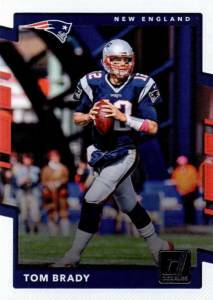 Think of it like the Topps Complete Set for flagship baseball, except that it only contains one series of NFL cards. Of course, an appealing aspect of the traditional box format is the chance at hits, and 2017 Donruss Football Factory Set delivers here, as well. In each set is a random Rookie Threads relic card in a format-exclusive Green parallel. Collectors can order the box set from Fanatics (normally with free shipping) for $49.99. There are also factory team sets on Amazon if you just want the cards from one team or a select few. 40 cards. 1 per set. I like this product a lot. As a collector on a budget I really enjoy buying the blasters from this series. I’ve gotten some really good patch cards from them. I pulled two Joshua Dobbs rookie patch cards and a few others that I really like. 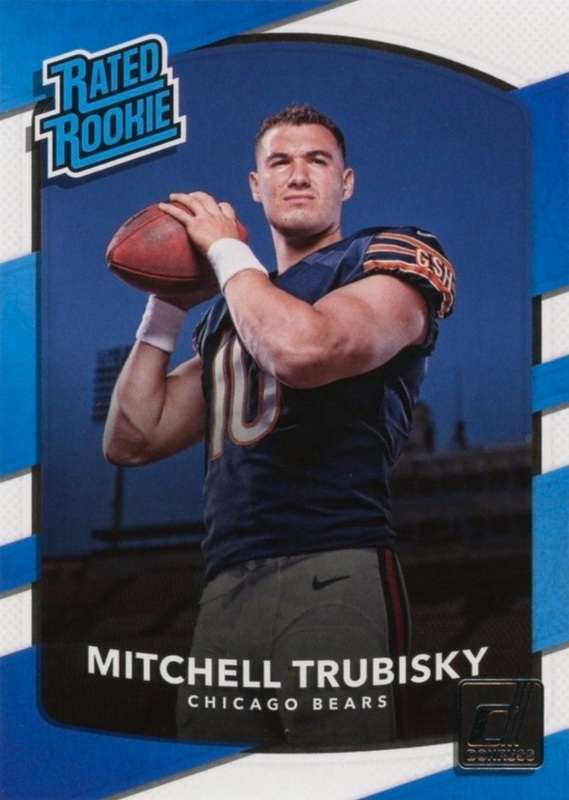 I also really like the Rated Rookie cards as well. I’ve gotten a few Press Proof Parallels of Fourrnette that look really good. They aren’t numbered, but they’re still nice looking cards with a cool old school fells to them. Overall its a cool set. i picked up a blaster last week and did pretty well. Mahomes and Zeke cards!